Testosterone Suspension is pure testosterone, not ester. Although this substance is available in large amounts on the market, it is a very effective steroid. It is an oil based steroid suspended in water. Before opening the vial, shake it a little to equalize. This steroid injections are painful, they are administered every day or once every two days. Optimal administered dose is 100 mg daily. Compared to other steroids as is Danabol, it can reach muscle accumulation up to 10-15 pounds in 8 weeks. Because of the high doses used, may occur water retention, fat and appears the risk of gynecomastia. Wreaking androgens can cause hair loss, prostate, hypertrophy, facial hair growth, being more pronounced than with other steroids. For this reason we recommend using Provimed during the usage of this steroid. This steroid is not recommended for beginners. It can be combined with other injectable steroids such as Nandrolona D , and also you can add an oral steroid like Danabol or Anapolon. To get optimal results, you must follow a course of 8-10 weeks. It is advisable to use antiestrogens such as Tamoxifen, which is administered in doses of 10-30 mg daily after cessation of this steroid. 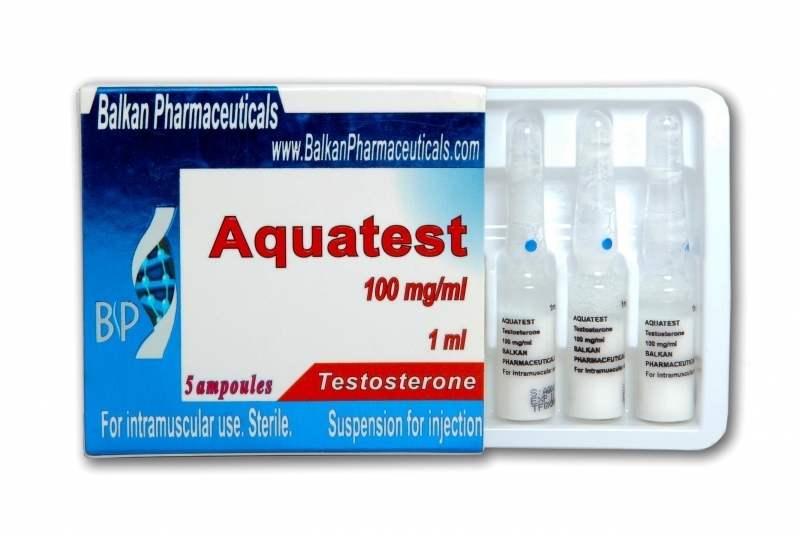 Combined with Nandrolone D, testosterone is a very aggressive drug, therefore it is necessary to finish the cycle with AQUATEST to administer Clomed and Tamoxifen in 4-5 days after the last injection for 2 weeks, and by 20-25 mg another two weeks.